Newly-minted U.S. citizen Heather Holm didn’t wait for official government recognition before delivering a gift to her fellow Americans. Seriously, she became a citizen just last Tuesday. 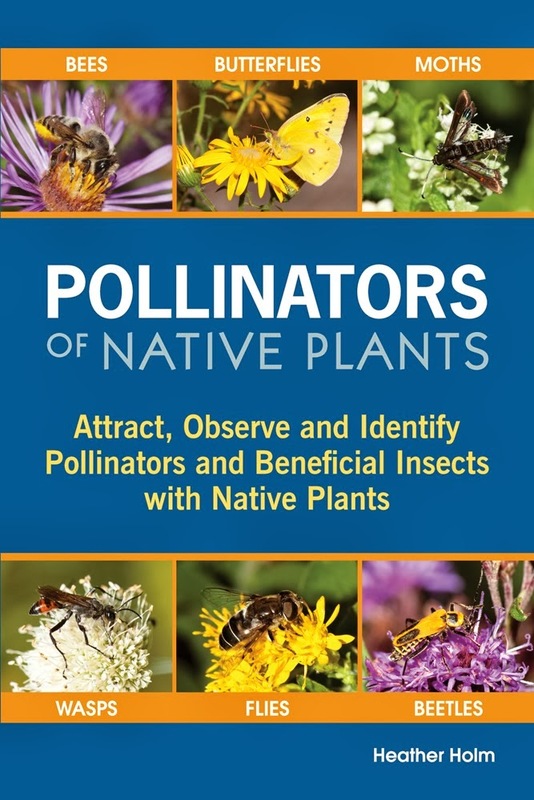 Earlier in the month her self-published book Pollinators of Native Plants rolled off the printer at Hillcrest Media Group in Minneapolis, Minnesota. The title does not do the book justice, as this is a comprehensive primer on garden ecosystems and how to create them. Heather’s background in graphic design serves her well in the unique organization and layout of the book. When I hear “self-published” I often expect poor paper and image quality, and an overall substandard product. That is most definitely not the case here. Images are sharp, the paper durable, and the cover is glossy and professional. There is no obvious compromise for cost-savings and the retail price of $29.95 is perfectly reasonable. 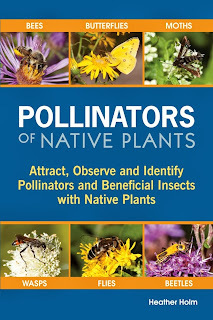 Beyond production values, this book is a labor of love for native plants and the insects and other arthropods that thrive in a well-designed and nurtured garden. Heather observed, documented, and photographed her own garden for a decade before fusing her findings with other researched information to yield the book. 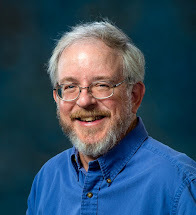 Not only is the text accurate, the information is communicated in a user-friendly manner that does not talk down to a novice, or disrespect the experience and knowledge of an entomologist or botanist. This is a fine line to walk and Holm does it beautifully. Scientific terms are defined when they are first introduced, but there is also a glossary in the back. All the organisms imaged, as near as I can tell, are identified accurately, even if that means only to genus, tribe, or family. This is important because not every creature can be identified to species from a photo. What I find truly unique about this book is that the author recognizes that a garden is an ecosystem. The gardener is a steward who works best when he or she understands how nature is working. So, Holm makes it known that not all pollinators are created equal. Most, in fact, are “flower visitors” in search of nectar. 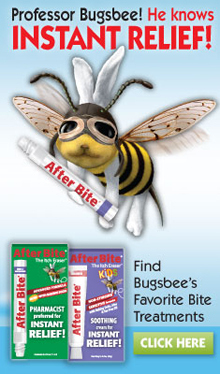 Those insects play other important roles, however, as predators, parasites, and parasitoids of pest and nuisance insects. 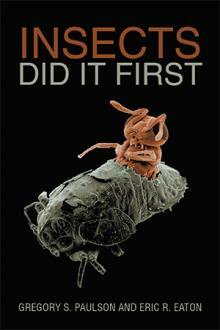 The inclusion of those “other” bugs makes the book an invaluable resource all by itself. Taking those complex relationships and making them understandable is a gift, but making them relevant to a gardener and homeowner is even more challenging. Again, the author succeeds. She goes on to furnish concrete action plans that can be used to enhance pollinator conservation, increase the value of the garden to surrounding wild ecosystems, and making the garden blend seamlessly with those natural areas. 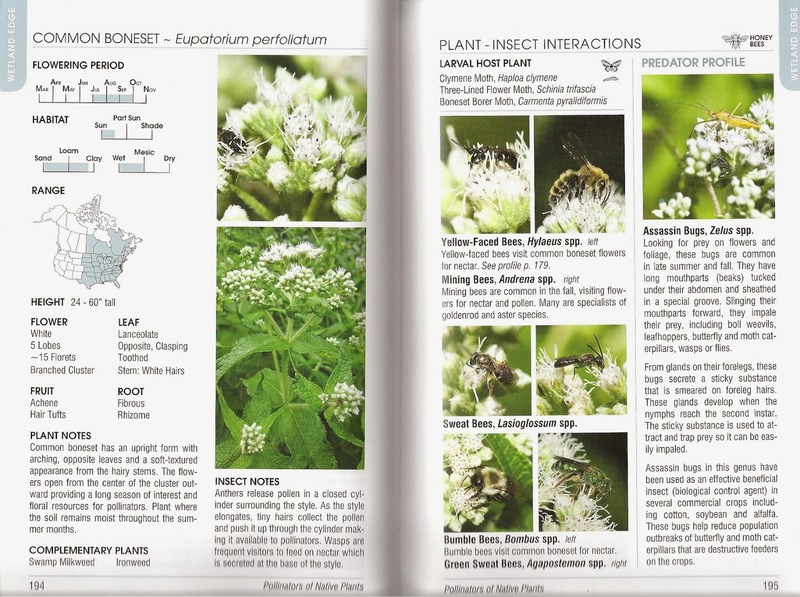 One page discusses the plant, while the opposite page explores the range of pollinators, flower-visitors, and/or predators and parasites, even herbivores, that one is likely to encounter on the plant. Additional, following pages may also be devoted to those relationships. Most of the insects have their own “pollinator profile” or similar biography in the far-right column on the appropriate page. 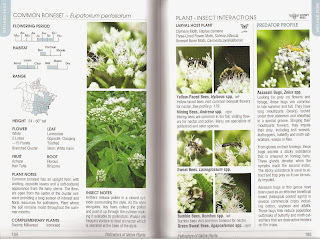 References, charts, and a visual index of the insects are located in the back of the book, along with examples of native plant garden diagrams, and the glossary and traditional index. It is a joy to be able to recommend a book like this that embraces more than just plants and their pollinators; and that empowers the gardener to work with nature rather than in spite of Her. Please see more about this book at its dedicated website, and make your purchase there, too. Authors are notorious for investing any extra income in their next project, and I certainly hope Heather Holm will continue to produce such valuable literature far into the future. 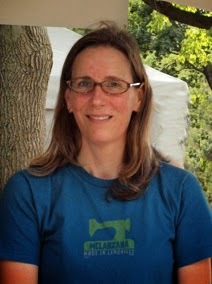 Meanwhile, you will want to follow her blog, Restoring the Landscape With Native Plants. I'm reading through this book right now, so your review is timely. I've "cheated" a bit, as I've skipped to the prairie section and thoroughly perused the plants and affiliated insects listed there. Obviously I need to read more carefully through both the beginning chapters and the final charts and chapters. 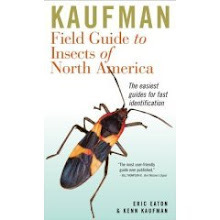 This book is a real gift to anyone interested in the insect life that they are noticing in their garden(s). Very nice review. I just bought one !